Our team of attorneys at Bandré Hunt & Snider are here to assist you with your legal needs. We advocate on behalf of our clients, and work to produce positive legal outcomes for those involved. Our attorneys provide legal services for a variety of practices including family law, criminal law, DWI law, personal injury and more. Bandré Hunt & Snider was formed in 2001 with a strong goal in mind: to provide mid-Missouri with unparalleled expertise throughout a number of different practice areas. Given our experience across a variety of practice areas, our attorneys are equipped to handle all of your legal matters. 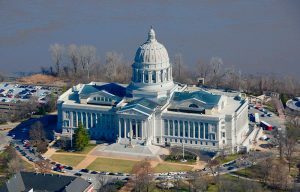 Our lawyers practice across the following counties in Missouri: Cole, Boone, Callaway, Camden, Moniteau, MIller, Morgan, Osage and more. Our law firm has an extensive background in civil litigation, divorce and family law and estate planning. These cases can get extremely complex, sensitive and personal- which is why it’s important to hire a qualified law firm like Bandré Hunt & Snider for these cases. If you’re in a legal situation involving criminal law, our lawyers have a strong and reputable background in criminal law. We are happy to work through your criminal law case with you. DWIs, DUIs and traffic violations are extremely common, yet extremely stressful. We understand that these cases can be extremely difficult to get through for individuals. At Bandré Hunt & Snider, our lawyers have a rich history of helping people with DWI, DUI, and traffic law cases. A personal injury case can include a number of different accidents including auto accidents, construction accidents, defective product injuries, medical malpractice, workers’ compensation, etc. We are happy to help you seek justice in wake of a personal injury. Real estate is often the biggest asset one owns when hiring a qualified law firm imperative in wake of a real estate legal situation. Even the smallest of errors in real estate contracts and paperwork can be disastrous. Trust our experts in real estate law to help you. Our law firm offers a wide variety of law services to businesses. From business model counseling to setting up corporations, partnerships and LLCs, you can trust our experienced corporate law attorneys to help with any corporate legal situation. Bandré, Hunt, & Snider has helped mid-Missourians through countless legal issues, and we are certain that we can help you with any legal matter you may have. We pride ourselves on dedicating our time and effort to effectively understanding you. Picking an attorney can be a stressful process which is why we emphasize communicating with every one of our clients throughout the entire legal process. We understand that everyone’s budget is different, and our lawyers will work one-on-one with you to come up with the right plan for you. If you are in need of expert legal advice, contact our law firm today!